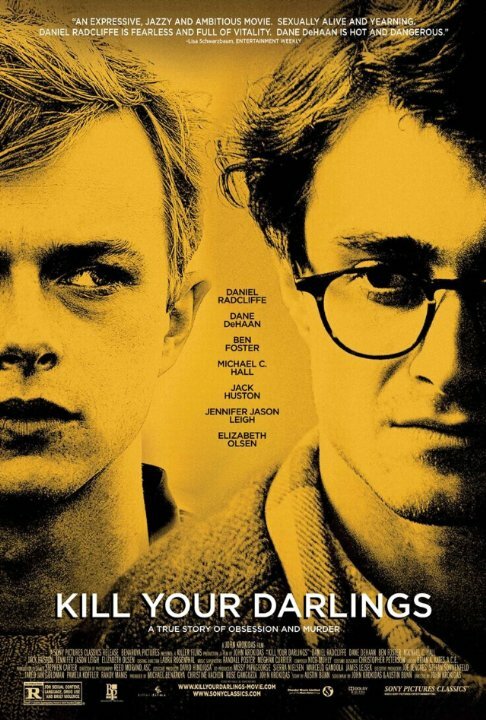 Allen Ginsberg (Daniel Radcliffe) gets a place of university and isn’t unhappy to get away from home, where his mentally ill mother (Jennifer Jason Leigh) makes his life difficult, the relationship with his father (David Cross) is strained. At university, Allen meets Lucien Carr (Dane DeHaan) and is immediately fascinated by him and his reckless lifestyle. Lucien introduces him to David Kammerer (Michael C. Hall), William S. Burroughs (Ben Foster), Jack Kerouac (Jack Huston) and Jack’s wife Edie Parker (Elizabeth Olsen). Allen realizes that something strange is going on between Lucien and David, but is swept up in the anarchistic energy that envelops Lucien, William, Jack and him. But the harmonious and fun beginnings soon give way to difficulties and tensions. I am still a little undecided about this film. The cast is really good, the story is interesting and it’s all packaged into a film that is mostly fine but lacks something I can’t put my finger on.